The SXSW Conference is excited to announce the third wave of music mentors, in addition to the newly announced Demo Listening and Round Table sessions for SXSW 2019. If you missed our first and second Music Mentor session announcements, you can view all Mentor Sessions here. Mentor Sessions are focused one-on-one meetings with music industry professionals ranging from experts who specialize in A&R, artist management and songwriting to synch and licensing, touring and booking, and more. Attendees can gain valuable industry insights, career advice or feedback on specific projects from these high-level mentors. Historically, the Demo Listening Sessions have provided an opportunity for our registrants and showcasing artists to get direct feedback about their music from a panel of industry experts. For SXSW 2019, our Demo Listening Sessions have transformed into a one-on-one opportunity to meet with these industry experts and get direct feedback on one or two of their music tracks on the spot. Mentors range from producers to music supervisors, agents, to name a few. An extension of our popular Mentor Sessions, our Round Table Sessions not only allow attendees to learn from the industry experts that sit at each of the three tables in this session but they also allow attendees to learn from the questions and experiences of their peers as well. Our Round Table Sessions will bring together industry experts and SXSW attendees for an enlightening discussion based on specific topics. Details on the Mentor Sessions RSVP system coming soon. RSVP is required and access is limited to Music Badges, Platinum Badges, and Artist Wristbands. Check out the third wave of participants below. 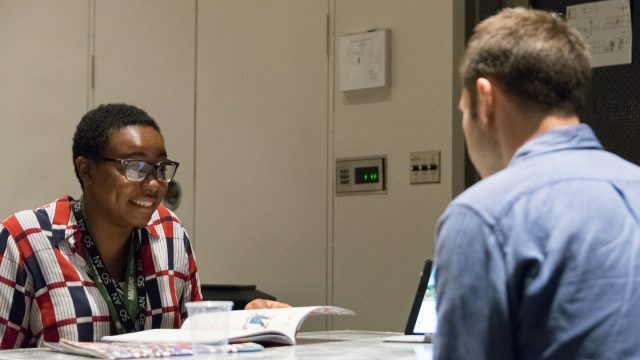 Interested in sitting down with one of our knowledgeable Music Mentors at SXSW 2019? Register before the February 15 deadline to save $100 on the walk-up rate and book your hotel using SXSW Housing & Travel for the best rates and locations close to the action.